Listening Session 004: A tribute to the Grateful Dead's historic 1974 sound system, the Wall Of Sound, featuring fantastic audience recordings which preserved the experience, along with the occasional story and insight adding color along the way. Thank you for the wonderful podcasts, I look forward to the next one! On another note, I struggled a bit with the Sep 5 '82 show...must be the Bobby factor. But I will continue to try to push my envelope out of the 70's...your messages about the good stuff certainly help. What show was the Playin in the Band from? Killer Podcast! Thanks! Just head back to the 1:52:00 mark of the file and press play. The answer is there. Ah, superb stuff. Truly stunning how the power of the Wall can only be captured on AUD. It's all very well having the clean SDB, but that's not the Wall we're listening to. Thanks again for the podcasts and the blog, it's as vital a resource as the Archive. As I have posted here before, I love the podcasts. I have one piece of feedback that I have debated mentioning, but since we are all friends here I figured it should throw it out there with the best intentions. The first recording presented is simply amazing in all respects. 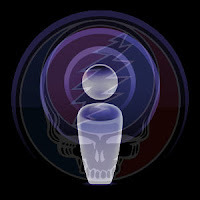 That one, along with the opening jam from the your third podcast (I think) are two of the most mind opening recordings I have had the pleasure to have heard from the Grateful Dead universe. However, the next two recordings, while musically superior, have some technical flaws that are pretty distracting. You make mention that the one has all the flaws of an AUD tape, so I was warned, and with that I still enjoyed the selection, but it was the next selection (where the guy was asking for some Filmore power) where I was a little let down. The recording is strongly in the left channel as if it was made to the far, far right of the stage. As I mentioned, the music makes up for it, but I have been wondering why you would choose to showcase two recordings (rather than just the one) that were lacking in their technical merits when the subject matter of the podcast was The Wall of Sound and the sonic wonderland that it was capable of reproducing. Given the quality of the AUDs I have heard on your other podcasts, I just thought it was an odd decision to bust out some tapes that don't really do the Wall justice. Musically, yes, the are great examples of the era and for that, I am glad rot have listened, but I was hoping for the gold here in terms of Wall of Sound AUDs. rev_justin, I really appreciate you opinions, and am glad that this forum feels friendly enough that you are not afraid to share your thoughts. re: "hoping for the gold here in terms of Wall of Sound AUDs." Maybe it comes from the path of my own exposure to 1974 AUDs, but that "Fillmore power" 05/12/74 AUD actually gives off some of the strongest WoS experience elements, IMO. It's a mono recording, so its leaning left is more a tape head issue than anything else. Of the four tapes featured, this one could have been replaced with other classics like 08/06/74. But, I think I was balancing in my desire to share 05/12/74 itself, due to its historic rarity, and pleasure I get from the tape. re: "odd decision to bust out some tapes that don't really do the Wall justice." The second tape featured, 07/31/74 Dillon Stadium, strikes me as one of the very best "justice serving" tapes possible. So, we can respectfully disagree on this one. AUD warts and all, this tape beams with a level of power and clarity that slightly outshines the first tape featured on the podcast, 07/21/74. Of all tapes, Dillon Stadium was the AUD I served up when David Gans asked me to help him produce a WoS AUD show for the Grateful Dead Hour back in 2003. Making the podcasts gets fuzzy from a theme perspective. There never seems to be enough time to get to everything, and I always find myself following tangents (for instance, was this episode going to be a focus on the Wall, or 1974, or both?). In the end, I hope that the podcasts serve to direct people to the complete recordings to hear more. Really, I could have featured only 07/21/74 for this podcast and known that it would all have sounded blissfully perfect. But, I think that would have been boring from a podcast perspective. Thanks, again for listening, and sharing thoughts. Are these subscribable podcasts or listen only?!? The iTunes Store continues to be a wormhole of frustration. Despite numerous submissions, the feed fails to get accepted, and there is no help to be found from iTunes support (oh, I've tried). In the iTunes menu bar click on Advanced, then "Subscribe To Podcast." I should have dug deeper -- seems you only explained this 500 or so times . . . I really do applaud your efforts. Well thought out, meaty and timely notes on some timeless stuff . . . They are listing (only) 3 > 5 as of last night! It still pulls all the current stuff too, so perhaps this will get you everything from the start, along with all stuff to come. For the test, delete all the files you may have already downloaded via the feeds2 address. Very interested to hear what happens. Playin' is phenomenal. No one can spin the weird like the Dead can. Like how the playin' theme returns every so often during the jam all creepy and distorted, very far out and completely sublime. Now i gotta go back through my Dp's and search for the AUD's of the 74 shows. A bit late to the show but I'm loving this podcast series. Just two thoughts to share. Firstly you mention Jerry tweaks his guitar tone 6 mins into the playin'. I'm no guitar player so I'd be interested to know, is that just tone/pickup controls or is he tweaking effects? It sounds like he is playing with a Wah pedal. From note to note but also changing the zone of variation compared to the first part of the song. Second, hmmm, I'm sure I had my earbuds in the correct ears but to me that "Fillmore power" show was leaning to the right. Something funny going on somewhere!